I don’t know about you but sometimes playing the same video game for extended periods of time actually burns me out. I often find myself gravitating towards other games, playing them for a short time, only to have me come back to the awesome games that I just personally feel that I can’t be without. Maybe this is why I have a huge backlog, but the bottom line is that the games which allure and charm still resonate within me and always get me playing them again. I can say that Destiny is one such game. But perhaps this is a bit premature? I don’t know if you know this, but I’ve recently rebranded my Twitch channel as Backlog Battle with Alex, with the intention of playing through my backlogged games’ main campaigns from beginning to end. 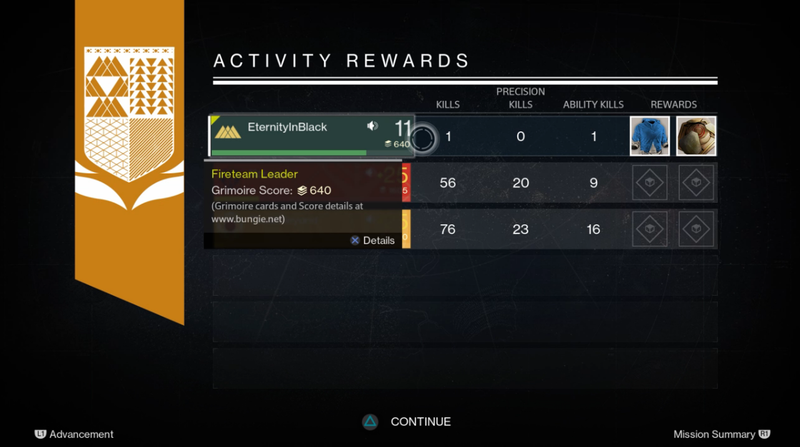 Destiny gets the distinction of being the first game I’ll be streaming from beginning to end. Truthfully, I was so excited about the prospect of this that I rolled a Warlock specifically for this reason. I thought to myself that I would be so enthused with playing the game that I would most certainly roll new characters to try them out. 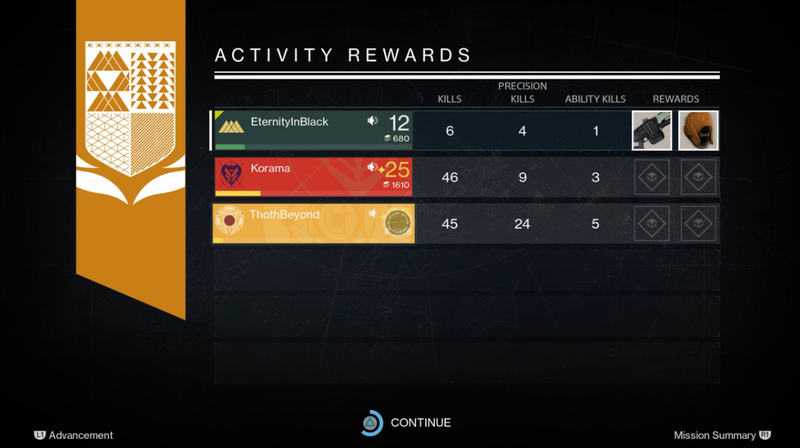 And so my first stream of Destiny last week went on without a hitch. I’d encountered a lot of the areas I’ve cleared during Destiny’s beta in July and even explored much of the Moon and Venus and called it a night. 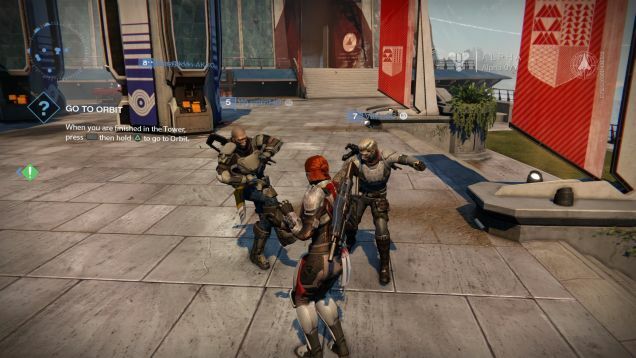 I even happened upon an impromptu AFK dance party at the Tower, just further solidifying the idea that Destiny is truly special and, perhaps, game reviewers were off their rocker when they gave it a 6 out of 10. Today, my opinions of the game have changed radically. No longer am I declaring the game as my pick for Game of the Year, nor do I have any of the excitement that I once had when they announced that this was to be a game changer for FPS games. This is one of the few times that I’ve eaten crow based on my predictions, and I’m about to tell you why I think Destiny isn’t all that it’s cracked up to be… for me, anyway. I wasn’t entirely sure whether or not partying with Ted a couple of weeks ago and having him kill most of the enemies I was facing was a fluke or not, but it didn’t deter me from inviting him and Chris (remember him?) into my game. I was a measly level 11 Warlock then and I was about to be joined by a level 25 Titan and a level 25 Hunter respectively. So I went through a couple of missions via Patrol, participated in a few Public Events, then proceeded onto the continuation of the Venus storyline. On my first story mission for the evening, I had informed the chatroom during my stream that I wasn’t going to fire a single shot while traversing through the whole thing. I wanted to see if I would still get some sort of experience even if I hadn’t killed a single enemy. To my surprise I still kept getting experience, but it didn’t function the way you would think it would. Even if I was in the same Fireteam as both Ted and Chris, I still wouldn’t get experience for any of the kills that they would rack up. Instead, all I needed to do was to be in some sort of proximity from Ted and Chris and I would still get experience for their kills. We’re talking maybe within 5-6 feet of either person here. Normally, games that implement similar features would give you experience only if you had tagged that particular enemy. That is to say, you fired at and hit that enemy at least once. But Destiny is intent on ensuring that low level players are able to still get experience for kills even if their weapons are inadequate compared to their high level friends. Honestly, I have no idea where that 1 kill came from. Maybe I nudged an enemy off a cliff and I didn’t even see it. No kill exercise aside, I declared to my Fireteam that I would now be playing for real and would be participating in the fire fights moving forward. We then jumped into the next Venus story mission, which would ultimately close up the Venus story missions from here on out, and started shooting Fallen and Vex to the best of my abilities. During our traipse through this mission, Ted and Chris began talking about the endgame. Ted had mentioned that had game reviewers played the end of the game that they would probably give it a higher score, as he mentioned in his article released recently. He then proceeded to talk about the various features of the endgame, talking about how level 20 isn’t really the real level cap of the game and that you would need to “grind reputation” and “use light” in order to transcend said cap. He also said that the most effective way to gain experience in the game (I was under-leveled for many of the missions we did) is to play many matches of the Crucible/PvP. He also mentioned how the game “totally fucks you over” with the Legendary Engrams, sometimes giving you really crappy gear. In fact, while Chris got one of the said Engrams, Destiny decided that it would be funny to award him with a level 16 blue (i.e. not-quite-so-Legendary) item instead. Let’s put it this way: The weapons and armor you get from Legendary Engrams are so bad that someone created a parody account on Twitter. Finally, we get to the boss and Ted gave me some advice on how to defeat it and turned out that they were able to quickly melt down this alleged boss and finish the mission. As you could probably imagine, this didn’t make me want to continue playing with high level players anymore… though I’ve certainly thought of using their presence to carry me through the game’s story content until the end to avoid grinding experience. The whole realization that I couldn’t play with my friends who were higher level than me, immediately soured my Destiny experience. Maybe my expectations of how mindful Bungie could’ve been of modern multiplayer conventions… whether it’s MMO, cooperative, or even competitive… was too high. Let me explain. The first M is for massive(ly). This means that you’re playing with a ton of people. We’re talking about at least a hundred up to about a thousand player characters onscreen at one time. At most, Destiny gives you about 20 or 30 tops while at the Tower. Not massive in the least. The second M is for multiplayer. That, at least, Destiny fulfills easily. The O is for online. Can’t play Destiny without an online connection. Again, it fulfills it and even requires it. By not defining Destiny as a MMO, I feel as though Bungie is apologizing for not adhering to the genres’ current conventions. Sure, they added public events – which is something of a staple in current MMOs – but the rest of the problems that plagued the genre are present in full effect. When Ted talked about reputation grinding, the game not giving you good loot seemingly to make fun of you, coupled with the game not allowing you to matchmake with other players while attempting the game’s newly opened raids, I tried to think of what Bungie’s rationale was when making these sorts of decisions. Was it to artificially pad the “difficulty” of the end game? Was it some sadistic MMO-gamer-who-designs-games-at-Bungie’s own way to bring back the glory days of vanilla World of Warcraft to a different audience? That being said, what is Destiny? Destiny is a cross between Guild Wars – an MMO-like game – and many other FPS games before it. But despite the game not officially being considered a MMO, it is plagued with some of the problems that existed in said genre for many years. 2. The high end player will, most of the time, say hi to their friend when they’ve logged on to the game for the first time, only to leave for a raid they’ve been working on clearing for the next several days, not even seeing their friend in the game until maybe when they’ve got nothing to do. 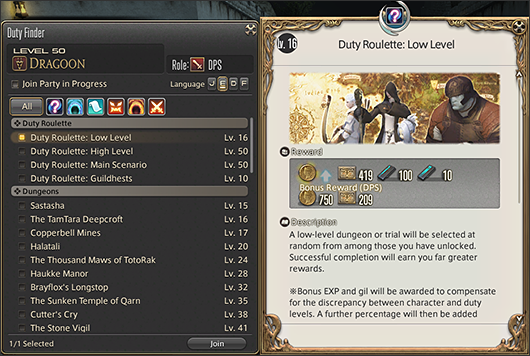 There are solutions for high level players to interact with low level players, as demonstrated by FFXIV. The symptom, of course, is that MMOs don’t necessarily have mechanics that would force high level players to interact with low level players in any meaningful way. Not to bring up an often talked about game on our website, but Final Fantasy XIV: A Realm Reborn continuously adds reasons why high level players should interact with low level players. Their matchmaking system allows high level players to not only help low level players with completing dungeons required to progress through the game’s story, but also helps them get currency to purchase necessary end game gear for endgame content. Also, for certain endgame weapons, high level players will need to participate in low level public events or FATEs in order to get random drops required to upgrade their weapons. In Destiny, after playing a couple of missions with a bunch of high level players… my friends, at that… I think back to the time when Peter Dinklage told me that he picked the right person for the job to defend the last of the human race. Then, I think back to the kill count I got during my last trip to Venus. I think he’s wrong. Keep in mind that I’m not saying that the game is too hard or too difficult. That’s absolutely not what I’m saying. What I’m saying is that Bungie, in all their good intent, seemed to completely forgot some of the more common problems when implementing a system that would, for all intents and purposes, segment a good part of the gaming population from one another – even between friends in the same social group. Speaking of which, endgame raids in Destiny do not support matchmaking at all. At least as of this writing, raids need a total of six players in order to be allowed in. In MMOs, players have free reign to talk to people in the area you’re in by means of yelling or shouting. This is usually how silly things like “The Barrens Chat,” for those familiar with it, and serious calls to action like wanting help to defeat a rare, strong monster happen. This spontaneity helps create a community of gamers who are reminded that, despite what they’re doing, that they’re part of a larger whole – a group of people with common interests who play the game because they love to. This common interest and goal is also how most people decide to join or even form guilds (or clans, in FPS parlance). While I understand why Destiny limits its communication settings to the player’s own Fireteam (“it’s to prevent trolls, etc”), there is absolutely no reliable way to meet people outside of your social circle other than matchmaking with maybe one or two other people during Strikes or playing Crucible matches – both of which are highly purposeful events with no room for casual conversation. So why then did they even provide players with the Tower or even allow to see other players while exploring the planets? It’s not like you’re going to join someone’s Fireteam randomly and say, “Hey. Nice chest piece!” And you can’t tell me that it’s because there’d be too much chatter in the area: the voice chat rendering in Destiny is one of the best in the industry and positional, at that. They could’ve just given us the option to enable global chat relative to players’ positions onscreen. 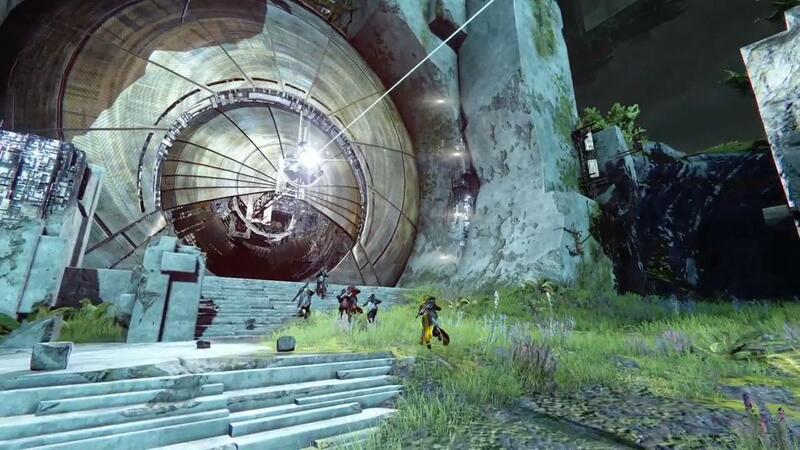 Destiny’s Raids: Only for players who have 5 other friends who are playing the game. Again, I’m not saying there’s no solution to these problems. I’m saying that Destiny tries to defy conventions without being mindful of the practicalities that these conventions help solve. So are you going to finish the game? Of course I will! But that’s not the point of this article. The reason why I wrote this is to outline and bring to light some of the things Destiny could improve upon. Despite my shortcomings with the game, I still think that it’s fun… but with a caveat. Destiny is fun with the right people. I’m just not sure I’m the Guardian Dinklage was talking about.